When will be America: Promised Land next episode air date? Is America: Promised Land renewed or cancelled? Where to countdown America: Promised Land air dates? Is America: Promised Land worth watching? Anchored by interviews with descendants of ancestors whose stories are featured throughout the event series and geographical imagery that showcases the history of how America was populated, America: Promised Land uncovers the great forces that set mankind in motion. During the course of the two nights, the series chronicles the massive immigration patterns of ethnic groups to the United States through the telling of historical events including the Dutch Fur Trade; the creation of the postage stamp by Irish immigrants; the California Gold Rush; Germans coming to the aid of the Union Army in vast numbers during the Civil War; The Great Migration of African-Americans to the North and West and the building of the Transcontinental Railroad which reduced America's East to West travel time from six months to one week.Additionally, the series sheds a realistic light on the struggles and hardships that some populations endured during their journey to America, such as the transport of enslaved people during the transatlantic slave trade and Italian communities in New York being targeted by criminal organizations. Through the exploration of immigrant's strife, triumphs and contributions to society, "America: Promised Land" offers an authentic look at patterns of migration with an emphasis on the massive movements of people since the Industrial Revolution. Reveals the epic history behind the creation of America, exploring how and why our ancestors came to this country. From the Dutch living in New Amsterdam seeking the wealth offered by the fur trade, through the English Quakers who fled persecution and helped shape the American Constitution, to the German soldiers who helped the North defeat the South, this episode uses expert historians, DNA evidence and census records to explore our cultural origins through the different groups who travelled to America seeking freedom from early Colonial times through the end of the Civil War. Sparked by the Industrial Revolution, a wave of migrants flood the United States. One-third of the entire population of Norway and Sweden migrate to America, transforming the Pacific Northwest; opened by the transcontinental railroad, Mennonite farmers from Ukraine turn Kansas into the breadbasket of the country; in 1908, more Italians were living in New York City than Rome. Spanning the 1900s through the 1970s, this episode reveals how our ancestors, coming from America's own Southern states, Eastern Europe, Latin America and Asia, change America's cityscapes forever, and directly influence the map of modern America. 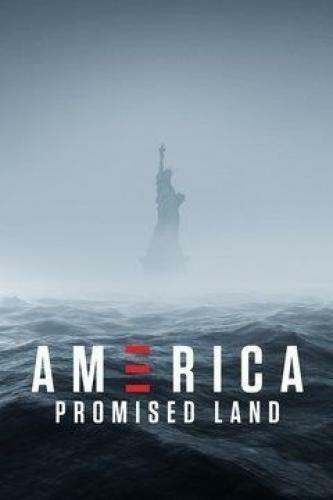 America: Promised Land next episode air date provides TVMaze for you. EpisoDate.com is your TV show guide to Countdown America: Promised Land Episode Air Dates and to stay in touch with America: Promised Land next episode Air Date and your others favorite TV Shows. Add the shows you like to a "Watchlist" and let the site take it from there.